We are delighted to announce the release of new optimized SQL Server images in the Microsoft Azure Virtual Machines Gallery. These images are pre-configured with optimizations for transactional and Data Warehousing workloads respectively by baking in our performance best practices for running SQL in Azure VMs. What preconfigured VM images are available? Currently we support these images on VM instances that allow up to 16 data disks attached to provide the highest throughput (or aggregate bandwidth). Specifically, these instances are Standard Tier A4, A7, A8 and A9 and Basic tier A4. Please refer to Virtual Machine and Cloud Service Sizes for Azure for further details on the sizes and options. How to provision a VM from the gallery using the new transactional/DW images? 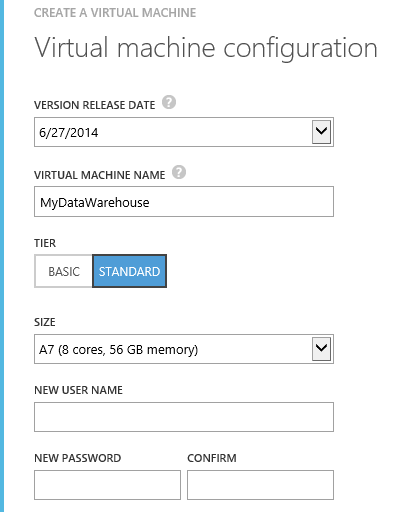 Click VIRTUAL MACHINE in the Azure menu items in the left pane. Click NEW in the bottom left corner, and then choose COMPUTE, VIRTUAL MACHINE, and FROM GALLERY. 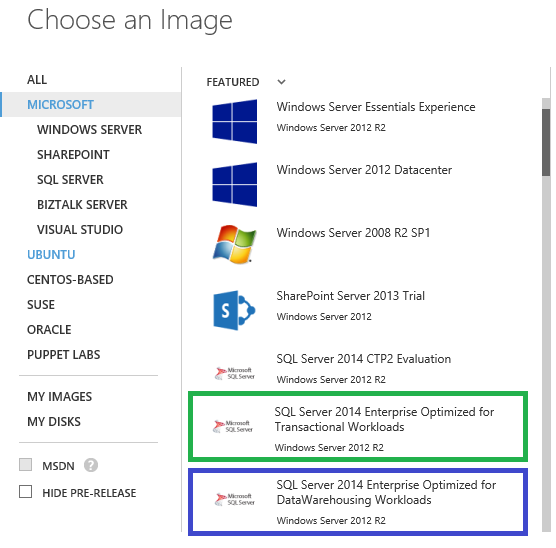 On the Virtual machine image selection page, select one of the SQL Server for transactional or Data Warehousing images. On the Virtual machine configuration page, in the SIZE option, choose from the supported sizes. Please note that only Standard tier A4, A7, A8 and A9 and Basic Tier A4 are supported at this point and attempts to provision unsupported VM sizes will fail. Wait for the provisioning to finish. While waiting, you can see the provisioning status on the virtual machines page (as in the picture below). When the provisioning is finished, the status will be Running with a checkmark. Alternatively, you can use PowerShell Commandlet New-AzureQuickVM to create the VM. You will need to pass your cloud service name, VM name, image name, Admin user name and password and so on as parameters. A simple way is to obtain the image name is to use Get-AzureVMImage to list out all the available VM images. What are the specific configurations included in the transactional/DW images? One data disk remaining for the user to attach and determine the usage. System databases moved to data disks. The location for creating user databases changed to data disks. Any pricing difference between the optimized images and the non-optimized ones? No. The new optimized images follow exactly the same pricing model (details here) with no additional cost. Note that with larger VM instance sizes, higher cost is associated. How can I find more information on Storage Spaces? For further details on Storage Spaces, please refer to Storage Spaces Frequently Asked Questions (FAQ). What is the difference between the new DW image and the previous one? The previous DW image requires customers to perform additional steps such as attaching the data disks post VM creation while the new DW image is ready for use upon creation so it is more streamlined and less error prone. What if I need to use the previous DW image? Is there any way I can access it? The previous VM images are still available, just not directly accessible from the gallery. Instead, you can continue using Powershell commandlets. For instance, you can use Get-AzureVMImage to list out all images and once you locate the previous DW image based on the description and publish date, you can use New-AzureVM to provision it accordingly. 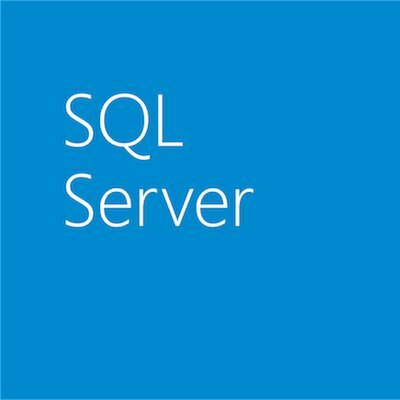 Visit our Azure portal and give this new SQL VM image offering a try, and let us know what you think. Let your colleagues know about the New VM Images available by sharing via your preferred social channels and don’t forget to follow @SQLServer on Twitter and find SQL Server on Facebook.